Precise nomenclature is an important part of scientific communication. By “precise” we mean that the terminology must be objectively correct and the words easy to understand. 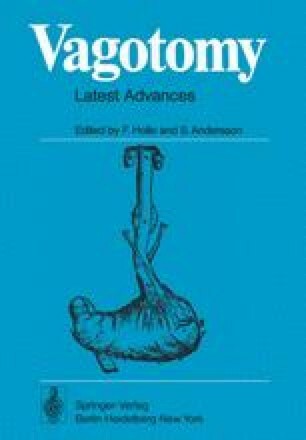 After having developed a reliable technique for the proximal denervation of the stomach, I suggested in 1964 that this technique be called “selective proximal vagotomy” because the operation is concerned with the use of a specific preparatory technique ( = selective) to free the proximal stomach region ( = proximal) from all nerves and vessels leading to it, whereby it is of particular importance to remove the vagal nerve fibers ( = vagotomy). The designation fulfills the criteria of being objective and comprehensible. In addition, its abbreviation, SPV, can be understood in most European languages.